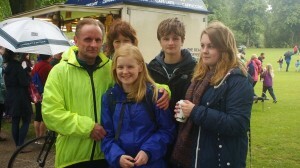 We think Vic, has raised around £300 for SDN and we are proud and grateful to him for doing this. It was the first Marathon ever held in Shrewsbury, so was bound to have problems, unfortunately they were bigger than any envisaged. 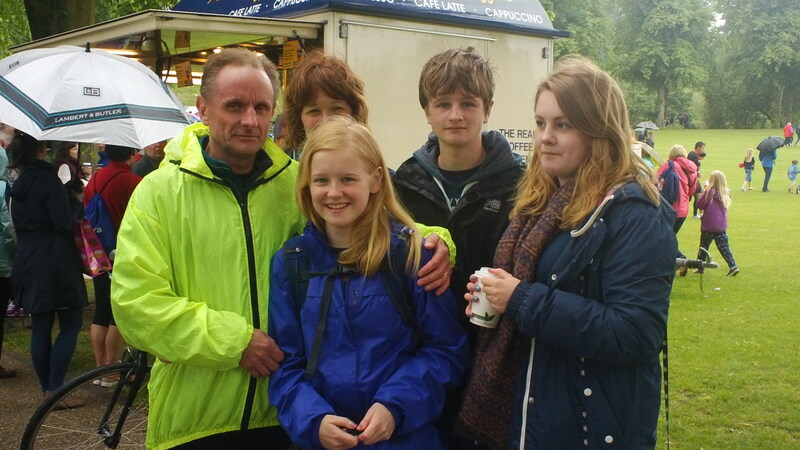 “I am finding it very hard to put down my feelings about the Shrewsbury Marathon. I was very excited with the build up, and really pleased to be running for the Shropshire Disability Network. My training had gone pretty well, and I felt strong and was running pretty quickly. I felt confident that I would run well and I was excited about it being a local race. On the day I felt I ran really well, but just ran out of energy at about 21 miles, which is really unusual for me. This was 21/2 hours into the run. I did consider walking for a bit and than running again – but I just couldn’t muster the emotional energy! Although I felt I ran well, I did find the race very hard. This was not due to the hilly nature of the course, that really suited me, as I train on hills all the time. What I found really difficult was passing people on the very narrow roads and the lanes. I found this absolutely draining! To my mind there were far too many people on the course and laps two and three were demoralising. Many of the slower runners did not need appreciate the need to keep to the left and many were wearing headphones so could not hear requests to move over. The stretch up to Kingsland was a nightmare. You had fast runners passing slow runners going up and fast runners passing slow runners coming down, all running on one half of the road, I was constantly dodging bollards, other runners and cars. How there weren’t any accidents on the day I don’t know. For me this type of course was made more difficult as I cannot see to my left as I have severe Visual Impairment. After a while, and after a few abusive comments this all made me rather angry and quite despondent. There were many other teething issues with the race: the delayed start, the chips, (or rather the information about the chips), lack of water on the final lap, inexperienced marshalling and the finish. Hopefully, all these issues can be resolved for next year. The major one is the route and the number of people running on it! However, none of this is an excuse for not finishing! I had forgotten the fundamentals of running marathons and that is to pace yourself properly. My favoured distance is the Half Marathon and I simply went off too quickly and blew up! I needed to have run some more longer runs at race pace. I will make sure I do this for the Snowdonia Marathon in October. Marathons have a nasty habit of biting you on the bum if you don’t take them seriously, and that is exactly what happened to me. I was over confident! I knew I had the speed, but I lacked the stamina and endurance to see the race through. On the positive side the atmosphere in the Quarry and the town was just amazing. People had come out in large numbers to cheer on the runners all round the route. Up through Kingsland and Coleham the streets were packed. This bodes really well for the future. I do hope they continue with the race as Shrewsbury showed that it really deserves a good marathon. This entry was posted in Blog on July 23, 2013 by .